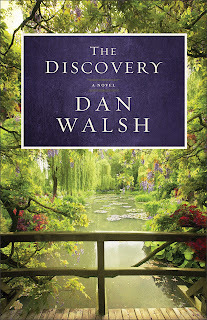 Dan Walsh is the award-winning and bestselling author of 7 novels, published by Revell and Guideposts, including The Unfinished Gift, Remembering Christmas and The Discovery. For those who haven’t read Dan’s books, reviewers often compare them to Nicholas Sparks and Richard Paul Evans. 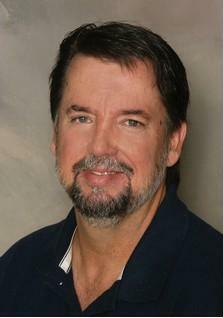 A member of American Christian Fiction Writers (ACFW) and CWG’s Word Weavers, Dan served as a pastor for 25 years and now writes fulltime. He and his wife Cindi have been married 35 years and have 2 grown children and 2 grandchildren. They live in Port Orange, FL where Dan is busy researching and writing his next novel. You can follow him on Facebook or Twitter, or read his blog and can connect to these on his website at www.danwalshbooks.com. NR: To be entered in a drawing for a signed copy of The Discovery, leave a comments. U.S. Residents only, please. Recently, I was invited to teach a fiction track for newer and mostly unpublished writers, who will be attending the CLASS Christian Writer’s conference in New Mexico in early November. I’ll have three sessions with these fine folks. As I thought about what topics to address I decided to do a survey. The goal of most people attending a fiction writers’ workshop is to learn how to write well enough to become published. To one day hold that book in their hands (or see it appear on their Ebook screen). And I suppose, to get paid for doing something you love is also a part of that dream. The people who actually make that dream come true are…the readers themselves. You might think, “No, they don’t hold the keys. Agents and editors do.” But readers are the people agents and editors have in mind when they evaluate a manuscript, deciding whether to say yes or to send out that dreaded rejection letter. For them to stay in business, agents and editors have to consider what they believe readers will like, what they will buy (this speaks to the age-old tension between commerce and art). So they put themselves in the “reader’s seat” when evaluating an author’s work. My most recent novel, The Discovery, is my sixth. Thankfully, both my agent and editor at Revell are big fans now (and good friends). I have completed two more novels and have contracts for five more. But I’m just as eager now to “please” my readers as I was the day I sent off that first manuscript for The Unfinished Gift in 2008. I want my existing readers to eagerly anticipate my next book. I want them to like it so much they have to tell all their friends. For me to “stay in business” my readership must continue to grow. So when I write, I care about the things that matter most to readers. And so does my agent and editor. I had a general idea about all this, but thought a survey given to avid fiction fans would clarify things and help me decide which three topics to address when I teach this conference in November. To set things up, I gave people a choice. I asked them to pick the “Three Things That Matter Most” to them when reading a fiction novel, out of seven possible choices. Before you read the results for the Top 3, why not take a moment and pick your top three? Which of these things matter most to you when you read a novel? I’d love to hear from you even if your choices differ from my findings (this isn’t a scientific survey, after all). I’ll give you the answers but, before I do, I want to mention that the top answer was almost unanimous. It was the first choice for the overwhelming majority but in everyone’s Top 3. Know which one it is? B) – Characters You Care About. Does that surprise anyone? Even fans of thriller/suspense novels mentioned this as being the most important. They want action, yes, lots of tension, and a fast-paced story. But even they want to spend time with characters they care about. So who took the 2nd and 3rd place honors? These two also made a strong showing in everyone’s response (quite a distance between these and what came in 4th place). Second was: A) – A Beginning That Grabs You. And third was: G) – A Satisfying Ending. This doesn’t mean the other four components of a novel don’t matter, just that these three matter most. So, that’s what I’ll be teaching my class come November. I offer these results here to encourage you to consider what to pay the most attention to in your writing. It seems readers mostly want a beginning that grabs them, characters they care about and a satisfying ending. Oh…one more thing. And I found this interesting. I had expected “F” to show up in the Top 3, but it didn’t. Oddly enough, it came in dead last (got only 7% of the votes). I was shocked. But my advice would be not to ignore “F” in your writing. I’d asked one more question in my survey: “What Things Cause You to Put Down a Book You’ve Started?” I gave them 6 choices. “Pace was Too Slow” was the overwhelming TOP answer to that 2nd question, garnering 83% of the votes. So…what do you care about most in the books you read, especially the ones you just have to tell your friends about? And…are these the things you mostly focus on as you write? When aspiring writer Michael Warner inherits his grandfather’s venerable Charleston estate, he settles in to write his first novel. 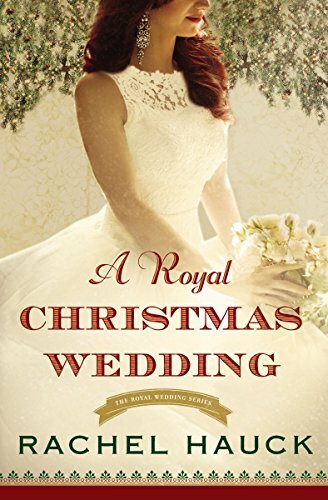 But within the confines of the stately home, he discovers an unpublished manuscript that his grandfather, a literary giant whose novels sold in the millions, has kept hidden from everyone—but which he clearly intended Michael to find. 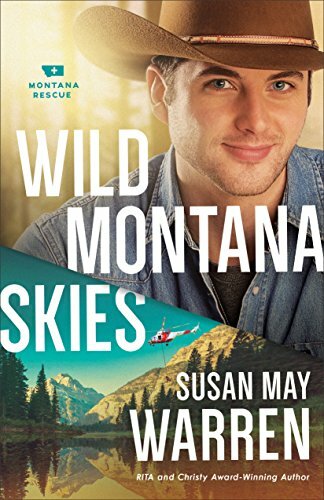 As he delves deep into the exciting tale about spies and sabotage, Michael discovers something that has the power to change not only his future but his past as well. 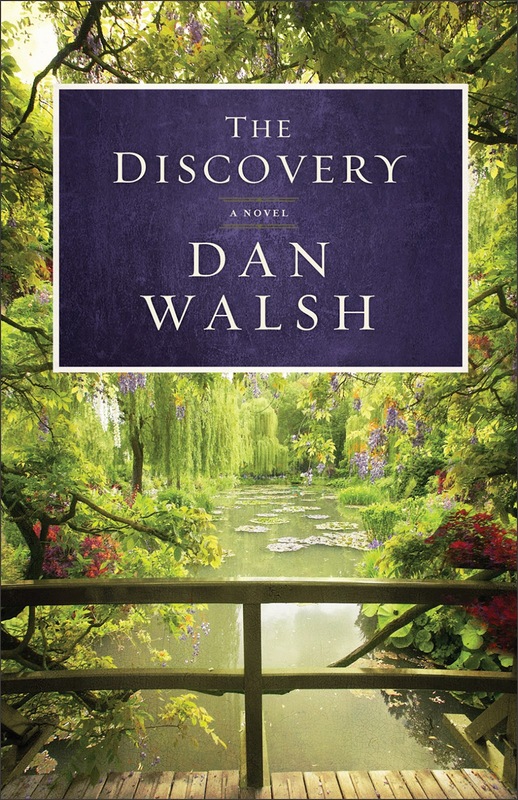 Laced with suspense and intrigue, The Discovery is a richly woven novel that explores the incredible sacrifices that must be made to forge the love of a lifetime. Author Dan Walsh delivers yet another unique and heartfelt story that will stick with you long after you’ve turned the last page. This was a must read (and must Tweet) post for me as I polish book #2. And I was surprised "F" came in dead last too. But maybe B+A+G=F? Oh, wow, now I'm doing some sort of crazy writer's algebra. Actually Beth, your math makes sense. I think you're on to something here. Dan, what a very interesting post. Thanks for sharing these insights. What makes me put down a book: when, by page 100, the story still hasn't kicked off into a moving-along story, and the characters are too boring/silly/unrealistic. Just my two cents. LIfe is too short to read boring books, especially when my TBR pile is growing. I agree Elaine, life is too short to read boring books. I hate it when I'm only plodding through a book because I paid for it. Or, it grabbed me in the beginning then dropped off in the middle (which is why the 4 things NOT cited in the survey ALSO matter). For me it's plot first. Immediately followed by characters I care about. Give me those two things, well crafted, and I'm good. Actually, I think the reason pacing didn't make the first list could be that pacing is not at the forefront of a reader's brain or focus of awareness. Maybe it's a proactive vs reactive thing. In other words, a reader is *thinking* about those characters and what they're doing (very aware, consciously engaged in story, proactive). BUT putting down a book is a reaction. Just a thought. Thanks for the thought-provoker! Makes sense, Emily. It really did surprise me when I tallied up the first set of responses (why pace didn't show up). But seeing it at the top of the put-down question proves, we've got to keep the tension high as the chapters unfold (and keep setting those chapter-ending hooks). I agree, Emily. I think Dan's 2nd question shows that it does matter to the reader, it just may be that pacing is one of those things you don't think about if it's being done well. They aren't looking for good pacing, but they notice if it's not there. Camille, based on what you said, do yourself a favor and check out Peace Like a River by Leif Enger. It's about 10 years old, I think. But written so well. As a writer and a reader, it's one of my favorites. Thank you, I am building that "well written prose & amazing story" TBR list, will do. Thanks! Peace Like a River is my absolute favorite. It's a country I can get lost in...with characters that are as memorable as Scout and Atticus Finch. Have you read So Brave, Young, and Handsome, Dan? It's on my short list. (Trying to finish my own right now). Marianne, I've thought the same thing about why some books, even some authors do so well, when their books do nothing for me. But that's the thing about art in general (music, painting, etc). Beauty really is in the eye of the beholder. My sister absolutely loves certain novels that put me to sleep. And some of the books I love would bore her to pieces. Dan, thanks for the wisdom! Those were certainly my choices, though I'm also big on a compelling storyline itself. I agree with Emily regarding the pacing--readers may not consciously think, "This isn't moving along enough." Still, that's often the thing that causes them to set a book down and never feel the motivation to pick it back up. You're right on in advising us not to ignore that. Looking forward to reading The Discovery! Looks like you're going to get that chance, Bethany. Ane emailed me to say you won the free signed copy! I'll get it out to you this week. Thank you for sharing this, Dan. It helps to narrow down all the "Do's" & "Don'ts" to a few that matter most, because for some of us, keeping every writing rule in mind while creating a new story strangles the life out of it. I look forward to The Discovery. Thanks again! I certainly resonate with this. Would be interested in knowing other reasons following slow pace that readers put a book down. My guess those reason(s) would be character-driven--i.e., having characters the readers couldn't relate to. In any case, these are thought-provoking quetions for readers and writers alike. Thank you! Katherine, 2nd on the put-down list was "Plot Didn't Keep My Interest" and 3rd was "Too Wordy, Too Much Detail" (which of course, ties into the pace). I'm surprised that the story itself/plot didn't make the top three. Interesting. Thanks for your insights, Dan. Very helpful! It did make the Top 3 of why people put down a book once they've started, so can't count this one out. For me it's BEG--characters, then story, then satisfying ending. I don't have to have a HEA (which makes sense since I write women's fiction), but I do want a satisfying ending based in reality. I'm okay with a slower pace if the story and characters are good, and I'm okay with a opening that doesn't grab me by the throat, but it makes sense that a majority of people would want that strong opening. I liked Beth's formula and Camille's idea for a book! This is fantastic research Dan. Thank you for putting the time into it. As I write I am always questioning if a reader will appreciate how the story unfolds - in all those categories. There is so much to learn still. As for why I put down a book - it is always about the characters. If I don't want - or need - to know what happens next to them I will close the book. I will also finish books that I do not like just so I can find out what happened to the characters. It is always about the people to me. Jodi, they say in real estate, 3 things are most important. Location, location and location. I heard renowned preacher RC Sproul once say, when preaching three things are important: Illustrations, illustrations and illustrations. I guess for fiction authors the 3 things are: Characters, characters and characters. Great post, Dan. I always tell aspiring authors that story reigns supreme, but maybe that's not all there is to it. When I think about it, I've finished several books simply because I loved the characters. As for putting a book down, it's all about pacing. Even in a literary novel, the author has to grab me right away. I'd still agree with you about the importance of story. Maybe this survey says characters matter even more, but I really believe one doesn't work well without the other being just as strong. One way I've let this adjust my writing is to let the characters influence my story more. Sometimes, if I let them be who they've become since I began a book, they don't want to do or say what "the story" says (at least how I viewed the story when first conceived). So, I go with them, see where it leads. These little "story detours" have provided some of the best parts in my books, I think. I really think all 7 things matter, Elaine. Realistic dialog certainly matters to me. When I read characters saying things I can't see them saying in real life, it ruins the book for me (especially if it happens a lot). Definitely one of my "reasons to put a book down." Not sure my comment went through.....please enter me to win this book....love Dan's books. Well done, Dan. I'm delighted to learn that I fell into the bell curve by picking the correct three. Perhaps because that's what I look for in fiction. Beth's writing "equation" is not far off the mark, too. And I agree wholeheartedly with your recommendation of Peace Like A River by Leif Enger. My all-time favorite for clever writing. If I ever teach a class in the craft, it will be required reading. As I read that book, Jim, I felt like I was standing in front of an author mountain. Not something I'd ever be able to climb, but an amazing thing to see. Another book that had that affect on me was Cold Mountain by Charles Frazier. Those are the three I would have chosen. I'll read the ending first to be sure I want to invest in the book. I'm a happily-ever-after gal. Thanks for a great article. I shared on my FB page. What a great idea, Dan. And yes, I picked the overall #1 as my immediate first choice. Now I'm wondering how this applies in the nonfiction world. Maybe I should hire you to conduct my survey! Marti -- story and character are vital to nonfiction! Anecdotes about people are way more memorable than dry recitations of facts. Kristen, perhaps I didn't communicate. I hope no one perceives my nonfiction as "dry recitations of facts" (ouch!). But Dan's research made me wonder about what nonfiction readers consider as essential elements. I think it's crucial for any writer--fiction or non--to remember the audience. I'm glad for this post because it made me think in fresh ways. And yes, Dan, (below), I agree. Well Marti, you know what I often see with endorsements on non-fiction books? "Reads like a page-turning novel." I read a lot of non-fiction books. Those kind are my favorite. Dan, this info is a big help not only to writers, but to those of us who teach writing. I hope you won't mind my referencing your survey in a seminar I've been asked to put together. Thanks for sharing it! Wonderful post, Dan!! Thanks so much. I'm going to post this (entire) list near my computer to "test" my new WIP and guide me as I push forward. I'm pretty much in sync with your top three, but after reading many YA novels, pace has become more important to me. (When things slow down with too much description and unnecessary words, and I remember that I'm "reading a book," that's a bummer.) As you said, we don't want to forget any of the puzzle pieces. Camille, who said, " Too much "sparkling turns of phrase" can stand out and draw attention to the words/author, which can also affect the reader's experience, depending on taste." Exactly. I want to add that simple writing (compared to, say, litfic) is the key to both writing prolifically and being readable by the masses. Look up prolific authors and simple writing, or a variety of those words; it comes up often enough. Very interesting. I wonder if these would shift if the readers were sci fi/fantasy readers? That's primarily what I read/write, and a lot of the reason I love it is the setting. I recently picked up a book called VODNIK simply because it was based in Slovokian folk-creatures...something I'd never seen before. It had great characters and an awesome begining and end, too, but I wouldn't have picked it up if I hadn't known I was in for a unique setting experience.